We are the valley's oldest and largest manufacturer of major tray brands, types, and sizes! 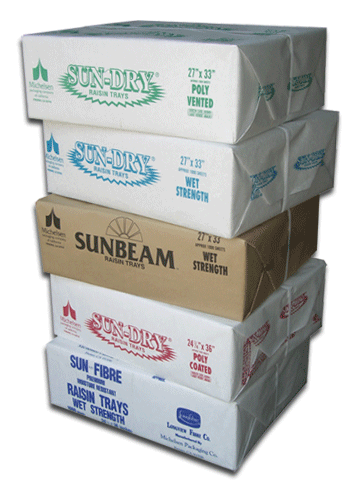 We manufacture premium Wet Strength, Poly-Vented & Poly-Coated Raisin Trays. Home of the Sun-Dry Poly-Vented & Poly-Coated Raisin Trays. Our innovations have set industry standards. Our paper has been tested in the lab and in the field under the most extreme conditions. Manufacturer of Private label trays. The largest inventory & selection in the industry! 29" x 30" 30" x 30"